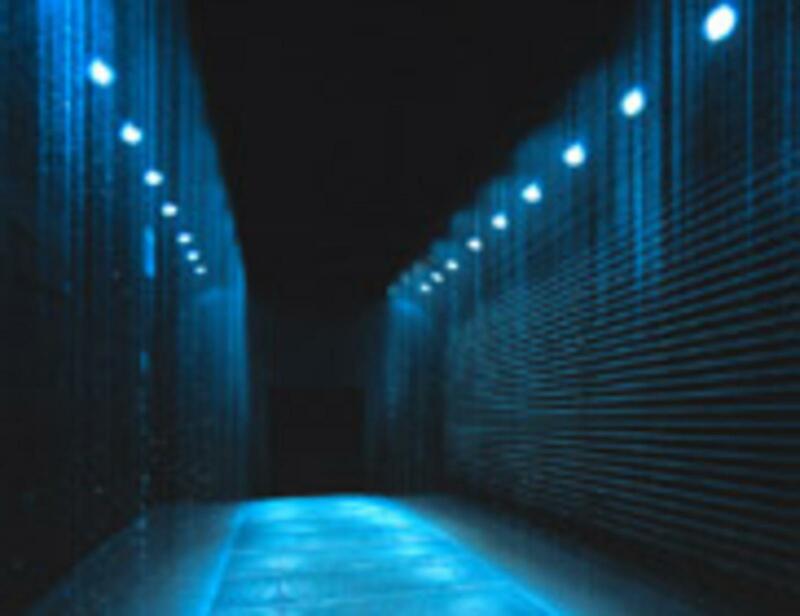 Two parallel curtains of water are in a completely dark, long room. They are made of drops of water, which fall 5m to the ground from two perforated pipes. 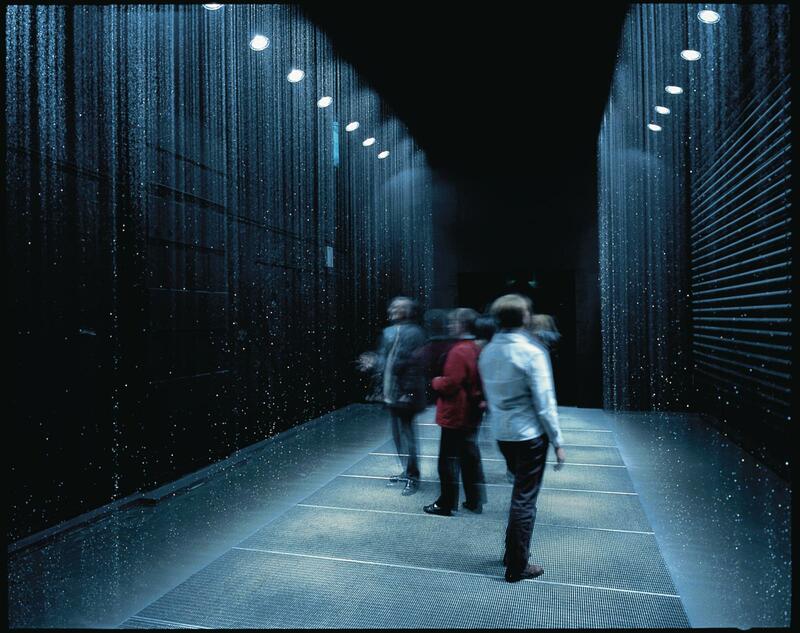 The curtains of water form a corridor, whose floor is made of metal bars. The viewer can walk through the corridor across this metal latticework. Strobe lights make the falling drops of water seem as if they are frozen.